What is a religious wedding? It is a wedding cerimony held in place of worship. In Italy a religious wedding can be either A roman catholic or A non-catholic wedding. Roman catholic weddings in Italy require specific paperwork. Religious wedding, what paperwork do you need? I need of a helping hand to plan your wedding? Contact us! Bride and groom should contact their Registrar and request a certificate stating that they have given public notification of their marriage. In order to obtain the certification, they should provide the relevant documentation. Alternatively, just contact us at Future Emotion and we will gladly help you with this. The priest or minister who is going to officiate the ceremony will interview bride and groom in order to ascertain Consent. 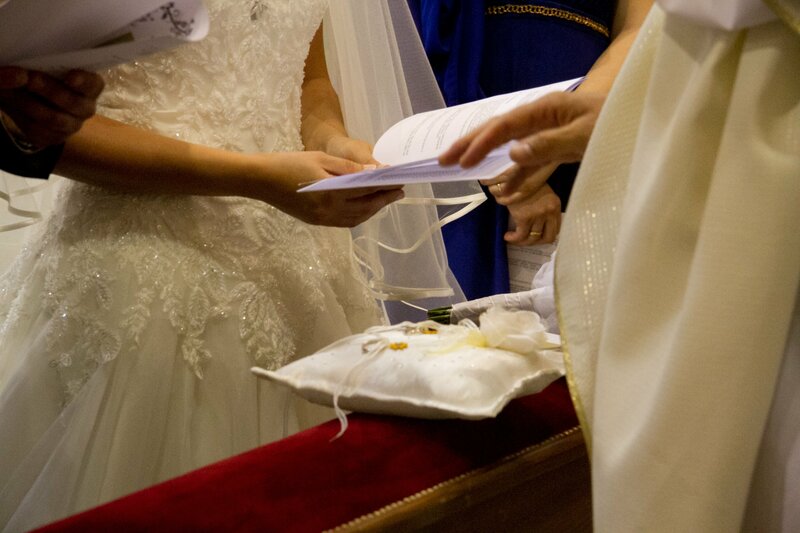 Public Notifications of Marriage – your wedding banns – will remain affixed both in the city hall and in the chosen church for the two Sundays preceding the wedding. Non-resident foreigners applying for a religious wedding to be held in an Italian Catholic church will need further paperwork from their parish. What about a non-catholic religious wedding? Bride and groom are required to provide the Municipal Offices – or local Registrar – with both a formal request from their minister (pastor, priest, etc.) and a certified document from the Home Office stating that the couple’s religion is recognised by Italian law. Don’t hesitate, ask for more information!